Florida officials estimate more than 1,000 people are crossing the state line every day. While an increasing number of people are discovering the wonders of the Sunshine State, its treasure rests in North Central Florida, specifically in the Ocala area. If you’re looking to move to the area soon, continue reading for more Ocala area information. This city is the county seat and major metropolitan center of Marion County, a sprawling terrain of rolling hills, horse farms and lakes. While Marion is the state’s fourth-largest county at nearly 1,600 square miles, it ranks 17 of 67 counties in population. Click here if you want more Ocala area information. 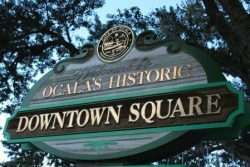 Ocala retains its charm and residents enjoy vast open spaces and many outdoor opportunities. The 607-square-mile Ocala National Forest is three miles east of Ocala and offers camping, hunting and canoeing. Silver Springs, now a state park, is one of the largest artesian springs in the world and features the world famous glass-bottom boats, as well as, canoe and kayak access to the springs. The area is home to the Appleton Museum of Art, offering a world-class collection European, American and Contemporary art and an array of Asian, African, Islamic and pre-Columbian artifacts and antiquities. The Webber Center Gallery at the College of Central Florida hosts many traveling collections and programs. The Ocala Symphony Orchestra and the Ocala Civic Theatre both have decades-long traditions of quality performances. With dozens of golf courses in and around Marion County, the area is a golf lover’s dream. With hundreds of miles of equestrian and biking trails, the county has become a hotbed for both horseback riding and competitive cycling. The county’s equine industry started with thoroughbred racehorses and dates back to the late 1930’s. But it wasn’t until the 1950s and 60s that the industry boomed in Marion County thanks to a horse named Needles that won the 1956 Kentucky Derby and Belmont Stakes. Needles solidified the area as a prime breeding and training center which has drawn some of the best horses and horsemen in the country. For all your real estate needs, contact Kathleen Miller. Her unsurpassed knowledge of Ocala and Marion County will help you find your dream home or property.